Bixby is a mobile building communication & hospitality platform making it easier for owners & managers of all property types & portfolio sizes to provide top quality service to their tenants and residents. We transform properties into more connected, efficient, & sustainable communities through a web & mobile app to communicate with tenants, organize and dispatch maintenance requests, and collect payments such as rent and common charge. We also provide access to a range of on-demand home services from moving & storage to housekeeping to laundry & dry-cleaning, fulfilled by best-in-class local small business providers. Bixby is a fully-customizable virtual amenity, allowing owners & managers to tailor the experience to their property's needs, resulting in higher retention rates and less turnover. We’re focused on improving quality of life for tenants and residents by empowering property owners and managers with technology. Companies and entrepreneurs around the world are building innovative new products to make living and working more comfortable and convenient, but owners and managers of properties that would benefit from new hardware and software often aren’t yet ready or well positioned to take advantage of technology like energy efficient HVAC systems, building sensors, and keyless entry alternatives. Bixby’s goal is to provide owners and managers with an easy-to-use platform that solves key pain-points in the tenant and resident relations component of property management, such as mobile communication, work-order management, and collecting payments, while also educating management customers about more advanced and sophisticated technologies. Our platform is growing and maturing as we continue to innovate with the help of our property management customers, home service partners, and smart building joint ventures. We recently crossed a major benchmark for the business - 1,000 properties using the Bixby app to make managing tenants and residents easier while providing a better living and working experience. Over 90% of the properties on Bixby today are multi-family residential, with an even split between rental properties and condos/co-ops. The other 10% is made up of commercial office buildings, a property type that we launched recently and are excited to explore. 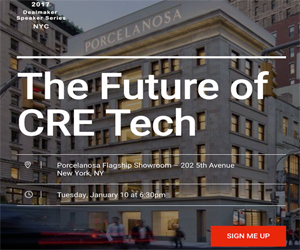 It’s an incredibly exciting time to participate in the real estate technology revolution - there are so many innovative companies and entrepreneurs transforming one of the oldest industries in the world. The two challenges that we see in the proliferation of new technology, such as smart-home devices, for the real estate sector is price and fragmentation. Internet-enabled devices like light bulbs and intercoms are still significantly more expensive than their traditional, “dumb” counterparts. Property owners and managers focused on maximizing NOI don’t always feel that the benefits of new tech outweigh the costs. Contributing to the slow adoption, products are still highly fragmented, requiring separate hubs and consumer-side applications. The real estate market has been a laggard when it comes to technology, so adopting several new platforms and apps is not attractive. That said, companies like Bixby and others are tackling these issues, making new technologies affordable and accessible in our homes and offices. As our core product matures, Bixby is starting to hone in on the built environment, focusing on helping owners and managers integrate and benefit from smart home devices and sensors. Working with manufacturers to retrofit class B and C properties with hardware such as keyless entry systems is starting to become a greater focus for the team. We’re also really interested in blockchain and its application to the real estate market, such as condo & co-op voting and vendor selection, as well as all communication and interaction through the Bixby app. Longer term, we’d like to become a full-service partner to owners and managers, providing everything from outsourced super services, to leasing, to more traditional property management. We’re learning the ins and outs of these businesses through our partners and customers and will continue to push boundaries in how technology can make these activities more efficient and productive.